Whether it be a grandiose wedding in one of the biggest hotels in town, a business conference entailed to discuss sales and ideas or just a social ceremony meant to be an escape from our busy lives and enjoy our time while everyone is dressed up to the nine’s, what is common in all of them is the sheer amount of effort and determination that goes into making them happen. Any successful event is not just a mere endeavour but a whole lot of vigour and exertion, both mentally and physically. What might be just seem like a trivial chore can turn out to be a tedious affair when we begin to look at the specifics and the toil behind the curtain, and therefore, it’s essential we carry out the planning as well as execution in the most methodical order, so we neither miss out on anything, nor is there any chaos when the D-day arrives. 1. Objective and Aim– It’s rightly said that strengthening the foundation corner-stone is the first thing you go about in making a resilient building happening and holding an event is no exception. Not only it is the most important one but also the first and foremost constituent, which we need to decide upon. Laying down the objectives refers to deciding on the type of event- formal or informal, the theme, the outcome and what we actually want from the event. This may meander across the reasons why we wanted to hold the event as well as what things we expect to gain from it. 2. The Team– Majorly consisting of the Chief Coordinator, the Heads who would be handling different departments, the members and the volunteers, an efficient and intellectual set of people is needed for the ideal run of an event. Sometimes, it’s the core committee making the integral decisions and the extended arms of the organization taking their roles, but it’s truly the coherent coordination amongst the team members to take the vision of the event forward in the most correct manner. 3. Budget– It still continues to be a myth that you need bundles of notes to have a resplendent showcase but it could be downrightly discarded when the notions of efficient usage of available resources comes in. There is no denying that a budget outlays the basics but the improvisation comes from how the limited amount of money is used. Correct proportion of budget should be allotted to each department meticulously but it is only the cost-effective, work-maximising and streamlined performance which makes the event come alive. 4. Partnership, Sponsorship and Other Associations– Spreading wings to reach higher also means linking the event with certain organizations for which the partnership could be of mutual benefit. On one side, where sponsors help us on monetary end, there are different associations which assist us with their discounted or free-of-cost services, commonly mentioned under slabs of ‘Accommodation Partner’, ‘Catering Partner’ and so on, with the promise of brand promotion or other things in return. Their aid is of utmost significance so that everything unravels in the best way possible and thus, collaborations are always encouraged. You are also exposed to their style of work and given a bigger platform when you do so. 5. Logistics– It primarily refers to the detailed analysis of the event that is going to be held. Starting from the chief queries like the number of people coming to the event and the flowers and decorations that are going to be put to the small ones like how many chairs and plates would be needed and where the catering would be done from, all these need to be planned carefully, keeping factors like financial limitation in mind. Execution could only be put through in an ordered manner only when the planning is done bit by bit in an extremely thorough manner and this is where the logistics come in play- from stationing the basic technicalities like creating a minute-to-minute timelines to pinning mere details. 6. Venue, Date and Time– It’s often that the stakeholders take the wrong decision when it comes to deciding the location and time. An appropriate venue has to be decided, which needs to be roughly adequate for the number of guests that would be coming. An unusually bigger hall for less number of people may accommodate the same but it could be a major put off for the guests and organizing committee as well. It is also suggested that the venue is visited at least once before the actual date if the event for prior rough outlay of it. Same goes when the date and time is decided. It needs to be made sure that we do not hold a formal event too late in night or a casual get-together party early in the morning as well as if there is any other significant events happening near the date that might affect the attendance of the guests and so on. 7. Catering, Security and Entertainment– Food is one of the chief factors in making an event look good. It’s not only about the cuisine and the menu that is to be decided, but the quality being assured and budgeting that has to be done related to it. It’s also not a bad idea to invest in security that may or may not be provided by the venue partner if you feel it is needed, as lack of it in case of any unwanted complication can lead to a great setback in the reputation of the event. On the other side of the coin, it should also be made sure there are sources of entertainment for the people attending. It might be a classical number for a formal event or a band playing a medley for the unofficial ones. Additionally, arrangements for microphones and speakers also need to be made in case they are needed for it. 8. 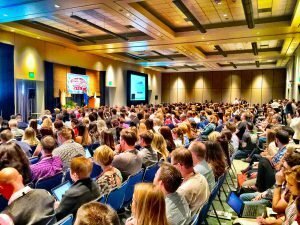 Marketing, Advertising and Promotion– If it’s an event you want maximum number of people to come or know about it, both online and offline promotion are of immense importance. Beginning with the designing of the posters to the banners being put up where targeted traffic is most, it not only creates an undeniable reputation for the event but boosts up the brand of the organizers. Hoardings and posters are one way to approach it and using social media as a marketing medium can be of high utilization in this era. Not only it is free, but highly recommended as well for almost all kinds of events. 9. Execution– When the big day arrives, it brings with it an amalgam of nervousness and scurrying. However, In order to ensure we have less of both, we mould detailed planning as the key, while having contingency planning to back it up. Now, when the arrangements are made and other settlements are done, we need to make sure we act on it properly. Few things that should be kept in mind is that for implementing our plans, we need to be alert, aware, thorough, not panic if there’s any complication, have critical thinking and problem solving abilities up our sleeves and methodical ways for crisis management. Exhaustion should be checked and the team with formidable understanding with each other should work as a unit, possessing the same vision and working for the same goal. 10. Decisive Evaluation and Miscellaneous– When the deed is done and the day is gone, it’s time we retrospect and ponder on the things we did right, the things we did wrong and the things we could have improved. This is commonly ignored but it’s also a crucial part of event planning as it makes us realize our faults, our USPs and help us make our next event better. Further extension after the event also includes conferring the winners of the competition with cash prizes and planning a second chapter to the conferences. Furthermore, we also should make sure if there are any other ad hoc and impromptu decisions required to be made. Not only physical labour is required in doing so but coherent logic is to be applied with prudence and pragmatic acumen. Other arrangements, if any, for special types of events also should be planned in advance and should be kept in check. Good things don’t come easy and planning a successful event may abide that rule and become exhaustive but the gratification on the triumphant run of the same mostly negates that.